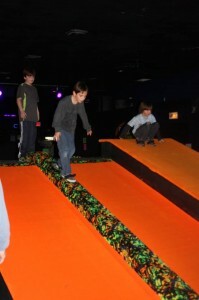 Fun Slides Skatepark & Party Center www.FunSlidesPark.com in Greensburg offers super cool unique birthday party and family fun! 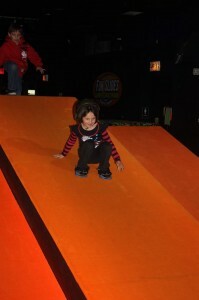 We visted the skatepark a few days ago with our neighbors and EVERYBODY had a blast. I overheard my neighbor being asked by his son if they could come back the next day. 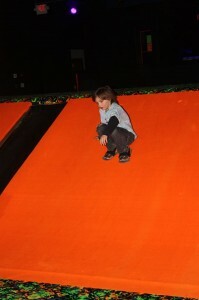 My children had a great time too and I realized how fear-free my son is. The employees there were very helpful and polite young gentlemen. 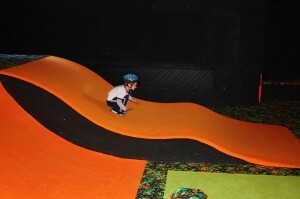 They explained to my son, daughters and husband how to use the slides and gave them great tips to stay safe. 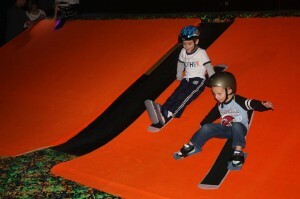 My youngest daughter and son needed to use helmets so I was relieved about that safety precaution. 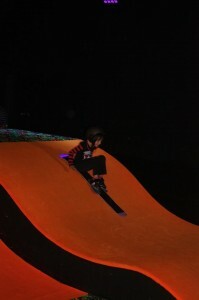 I was a little bummed that I couldn’t try it out but due to a foot injury, I was out of commission for this trip. Fortunately, we all had such a great time, I definitely plan on taking my family back so I can try it out too. 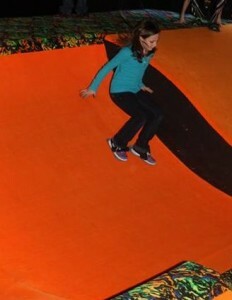 This carpet skating is fun for all ages (typically age 4 and up) and the blacklight atmosphere made it even more fun. 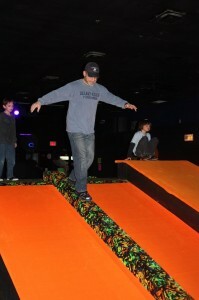 Unlike other sports that take lots of practice, carpet skating takes only minutes until you are confidently sliding around. 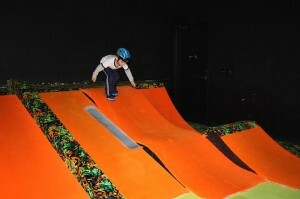 Like I said, my son was off doing the larger slides within 5 minutes of being taught how to slide. Some of the kids we came with, my kids, other kids that arrived after us and some of the employees started a game of dodge ball and it was so fun to watch how much fun everybody was having, including the employees. They were always around to lend a helping hand, give tips and ensure safety. Check out this awesome video HERE! 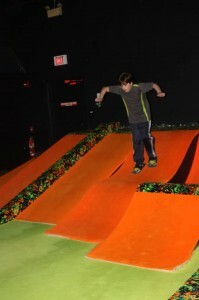 Carpet Skating is safer than most other skating sports because the skating surfaces are carpeted. It takes just minutes to learn and because it is so easy to be taught, it is a terrific confidence builder. 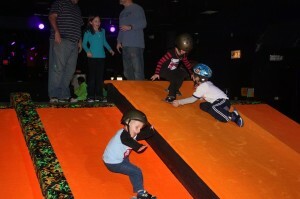 We have witnessed over and over the most awkward of kids feel like an accomplished skater in minutes! And it burns lots of calories! 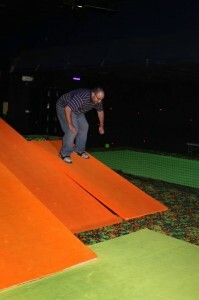 Yes carpet skating can get extreme but you can also simply walk while wearing Fun Slides…you only slide if you want to. The ‘gripper grooves’ on the bottom provide traction so you can actually run wearing them. Learn more before you go at http://www.funslidespark.com/. I hope you have as much fun as my family did!